West Grayer will never have to kill again. She has defeated her alternate, a genetic twin that everyone in Kersch faces in a battle to the death. She is no longer an assassin and she should be able to move forward with her life, but The Board has other plans for her. Promising her that her children will never have to kill their alts, West agrees to strike against three more targets, but will The Board just let her walk away when she is done? I felt like the action was very well written. It was intense and gripping. Some of the scenes were really clever, something I hadn’t seen a variation of before. I loved that West wasn’t invulnerable, but was still a strong contender. I also feel like the romance was better in this book. I really like that Chord and West have their issues and opportunities to work them out. I feel in so many books everything little thing seems to be a deal breaker for the main relationship, just to drag out the drama more. I don’t feel that way with them at all, they seem more real and can I just say thank heavens for books without love triangles? 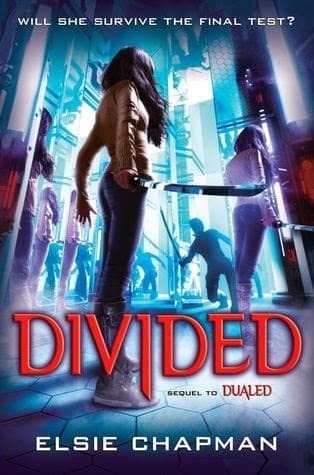 Overall, Divided and Dualed aren’t my favorite dystopian books I have ever read, but I was engaged enough that I will definitely pick up the next book. Link is one quarter incubus setting out to make in big in New York City, Ridley is a siren who uses her powers to entrap people and get them to go what she wants. They were made for each other and a whole lot of trouble. Dangerous Creatures is a sort of bridge between the four books Caster Chronicles and the new spin off series featuring two of the side characters from the original series. I have to admit, I usually read spin off books just because I loved the original series, not this time. Ridley and Link were my absolute favorite characters in the first series. I liked Ethan and Lena and their story compelled me to read all four books, but it was the side story of Ridley and Link that really brought them to life. 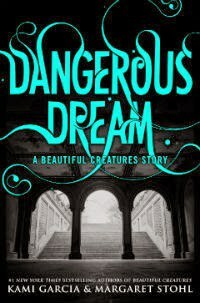 Dangerous Creatures is the perfect short transition between the two. It starts off familiar with Ethan narrating the story in Gatlin, before it moves forward with Link and then Ridley each narrating portions. It is just enough to remind you how much you like these characters even though they are “bad,” and leaving you wanting more. I think I am going to like this series more than the first! I love reading a review of a genre that is not one I am familiar with; thanks for opening my eyes to a story I would not otherwise be familiar with! Wow, that sounds like an awesome book. I am going to have to add it to my reading list. Definitely sounds like a book that would make me curious to read. Might have to check it out! The book sounds interesting, I might give it a read one day. I will sometimes read dystopian novels and this one sounds like I might like it. You did a very good review! I love when a book is able to surprise you. It seems like this book has some clever ideas and keeps you on your toes! Sounds like a neat book! Like ready your review! I will definitely have to put it on my list. I love reading new books. This does grab my interest. I love to see how authors interact with their characters. Thanks for sharing! I'm always looking for new books to read! These both sound like interesting reads. Sounds like some fun summer reading! Thanks for sharing! Sounds like a good read! I think I need to add this book, and the first part, to my reading list! This sounds like a great book. I like when characters have some kind of super power. It's always so intriguing to me!